Sha Hwang is a designer, technologist, and avid pinner based mostly in Brooklyn. Sha is endlessly fascinated by maps, cities, data, and design. 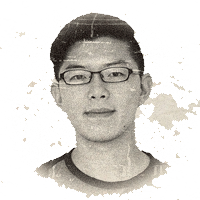 Sha studied architecture at UC Berkeley, and worked at IwamotoScott in San Francisco and MESH Architectures in New York before falling for visualization and mapping at Stamen Design. At Stamen, Sha worked for clients like MTV, CNN, Flickr, and Adobe. After Stamen, Sha cofounded Movity, which was acquired by real estate company Trulia. Nowadays, Sha and his partner Rachel Binx work on the data-driven jewelry company Meshu (http://meshu.io) and other secret projects. Sha speaks frequently at events including the Eyeo Festival, Visualized, and the White House Datapalooza, and currently advises data-driven startups and mentors aspiring digital designers. Sha is doing the workshop Become a Data Superhero: Assembling Your Visualization Utility Belt on Wednesday 12th February.